Our company is enlisted among the chief Manufacturers, Exporters and Suppliers of Carboxymethyl Cellulose. 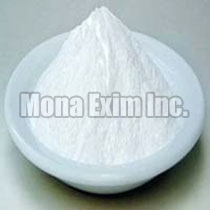 Also known as Sodium Cellulose Glycolate, Carboxy Methyl Cellulose (CMC) and Cellulose Gum, the Carboxymethyl Cellulose is a water soluble polymer. It is used in food industry, oil well drilling, cosmetic industries, paint industry and pharma industry. Our Carboxymethyl Cellulose consists of very fine particles or granules that are white to creamish in color. It is odorless and hygroscopic powder that readily dissolves in water to form colloidal solution.